It is a pleasant but busy Friday afternoon in the village of Tunis in Fayoum. 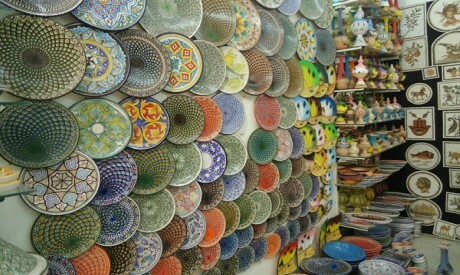 The village, which has developed a hallmark association in the art and business of pottery, is getting ready for the annual Tunis Fair for Pottery and Traditional Crafts that starts on 1 November. “We have over 100 pottery-makers who take part in this fair. They display their works and their talent as they actually make pottery during the days of the fair,” said Mahmoud Al-Sherif, a pottery-maker and organiser of the annual event. The three-day event was launched in 2011 and for the last three years has been held in cooperation with AlexBank. It is a highlight in the life of the village, which for decades has been a destination for pottery-lovers. 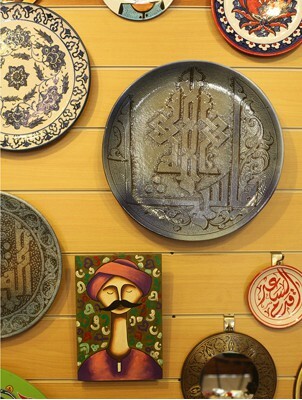 A Swiss artist whose fascination with the pottery industry that was always part of the cultural heritage of this otherwise poor governorate prompted the creation of a creativity hub that allowed the scaling up of the industry and its passing on to new generations of keen learners. 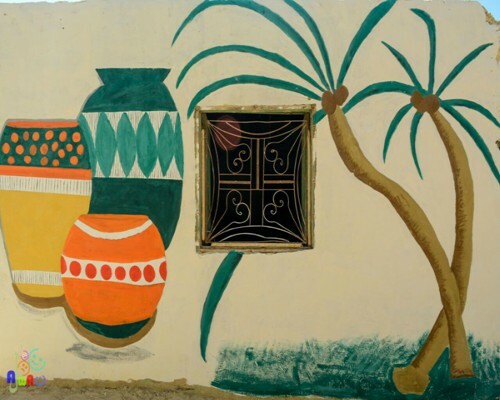 “People go to the Tunis Village page on Facebook, where they learn about the fair, the hotels where they can stay and the transport they need to come to Fayoum. For us, however, the story of the fair cannot be properly told without going back to the story of Evelynne whose initiative helped give the tradition of pottery-making a whole new life and prospects,” Al-Sherif said. Evelynne, the Swiss artist, not only helped keep an ongoing tradition alive, but she also helped improve skills and advance the craft as she brought in modern know-how to scale up the art of pottery-making. Indeed, she also helped keep the tradition alive at a time when some were embracing modernisation as an excuse to give up old traditions. Today, Al-Sherif suggested, there has been a strong return to this traditional craft as part of a growing interest in traditional culture. It was also for this reason that the annual Fair was allowing room for the display of traditional dance and music throughout its three consecutive days. In the centre that his father, artist Mohamed Abla, established in the village with his Swiss spouse in the 1980s to build on the growing association the village was making with art, Ibrahim organises annual art camps that bring in artists from all over the world to share experiences. While these are more about sculpture, drawing and photography, they are also “another opportunity to boost the established trend of promoting the traditional crafts, especially pottery-making, because when you have so many people coming to the village you allow a wider exposure of the craft and more sales. The camp is also an opportunity for local artisans to learn new techniques and acquire new skills,” he said. Cairo-based potter Magdi Gomaa is a keen advocate of “exposure and shared experience. This is what makes an artisan capable of developing, not just in terms of skills but also in terms of creating networks for sales,” he said. Having chosen to be “a potter rather than opting for a university degree that would have meant little in terms of income generation,” Gomaa started in the 1980s when he took up the craft he had learned during summer jobs at school, seeing that it had become part of a vibrant tourism industry that “used to bring the world to Egypt”. When the flow of tourism suffered a decline with the political challenges that followed the 25 January Revolution, Gomaa resorted to the world of social media to connect to the world and attract the interest of potential buyers. “It is true that during the last 10 years or so, the local market has expanded, essentially due to the growing awareness that social media has created of the beauty of this traditional craft. But still we need to consider exports because without sustainable income we cannot keep a sustainable business,” he said. Usama Ghazali is the founder of Yadaweya, an initiative launched in 2012 to “help keep old traditions from dying”. A self-trained anthropologist who had been working around the Red Sea villages in Egypt, Ghazali was “amazed to see crafts there that had never been heard of in Cairo or other big cities.It was clear that the artisans who mastered these crafts were becoming fewer, essentially because they were not being passed from one generation to the next as they were no longer being seen as a financially profitable business,” he said. Unlike pottery-making, which had survived a decline due to many initiatives, other crafts like silver and golden embroidery and handmade palm-leaf mats, were verging on extinction. “The trouble was that there was no real awareness of the diversity of crafts that there are all across the country, especially if we talk of the rarely trodden areas of the Red Sea zones and the scattered presence of the Nubian culture,” Ghazali said. The scarcity of attention that Ghazali found certain zones of the country to be receiving prompted him to start an initiative to document traditional crafts in the Red Sea governorates of Qena, Sohag and Al-Wadi Al-Gadid. “We do meticulous surveys. We investigate the crafts. We locate the villages and towns associated with these, and then we detail the resources used for making these crafts. We put all this information on the Facebook page we have created for this purpose,” he explained. Throughout the past six years of “exploring, documenting and uploading”, Ghazali said, “Yadaweya has not just been serving the cause of craft-promotion, but also that of cultural preservation, at least by documentation. The government has been unable to provide the necessary protection for these traditional crafts, so the least we can do is to try to raise awareness of these arts to try to keep them alive,” he argued. In a parallel activity, Yadaweya has established a permanent showroom in Cairo for crafts gathered from all over the country. It has also held exhibitions all over the country to allow for higher sales of crafts from remote zones in the country’s main cities. In August, artist Amna Ali joined a group of artisans from Halayeb and Shalateen in Alexandria to display their work. She said she was “so happy with the attention that our crafts received in Alexandria, from the citizens of the city and the foreigners living or passing through who came to the exhibition” held for a week in the Jesuit Cultural Centre. 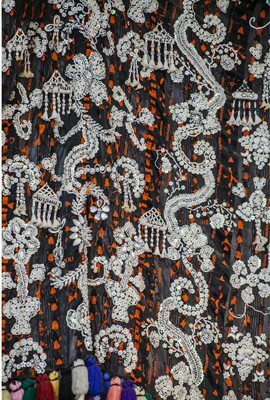 Social media, she said, had been crucial in connecting artisans with exhibitions and “giving us the attention we need to keep going with our crafts”. In Ismailia, Mohamed Salem, owner of Kadem Al-Saad, a showroom for traditional crafts, uses his Facebook page to monitor reactions from visitors to most-liked items and to get requests for special orders. “Of course, social media has helped give people who work in this field a big boost, especially after the decline of tourism over the past five or six years,” he said. Having started his business in parallel in Ismailia and Sharm El-Sheikh, the latter having been a major tourist attraction for two consecutive decades, Salem had suffered a considerable decline in his revenues over the past few years. “It is true that the local market has expanded, due to the growing trend to which we have the social media to thank and also the economic challenges that were forcing more people to abandon their preference to buy imported items. However, we still need the outside market if we are to seriously expand the business in order to keep the tradition alive and to create more job opportunities,” Salem argued. This, he said, had been made possible due to initiatives of the Ministry of Social Solidarity and the Projects Development Authority (PDA) to hold exhibitions outside Egypt for the producers of traditional crafts. 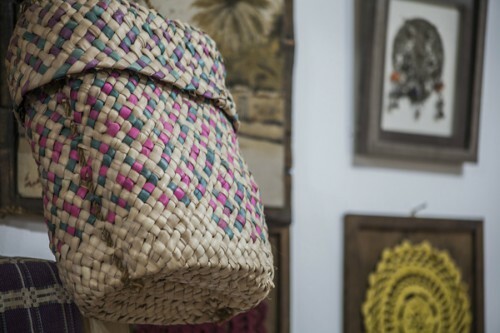 In September, Salem was in Cairo to take part in a PDA-sponsored exhibition called Torathna (Our Heritage), a 10-day event that brought together artisans from all over the country with many diverse crafts. By the end of the event, Salem had almost sold all the items he had on display, essentially pottery, wooden kitchenware, and home-décor items. This is precisely the reason behind the growing attention that the Ministry of Social Solidarity has been dedicating to holding such exhibitions, according to Amany Ghoneim, head of the Central Department for Social Development. “We are holding exhibitions across the country to allow for the participation of artisans who cannot move around. We have permanent exhibitions in most of the large governorates, and we have several annual fairs across the year,” she said. In October, artisans joined another first-time exhibition dedicated to traditional crafts, this time called Graffiti. Organised by the Egyptian Chamber of Handicrafts (ECH) under the auspices of the ministry, the exhibition, according to Hisham Al-Gazzar, head of the EHC, has added to the efforts the government is making to promote the export of handmade crafts that depend on natural resources. According to Ghazali, the founder of Yadaweya whose artisans were present at the event, the exhibition “gave a boost to those who want to expand their businesses — with some actually making their very first export deals”. Dyarna, a twice-yearly exhibition that is held in Cairo in the Easter and Christmas seasons, Ghoneim said, is perhaps the best business occasion for the over 200 participants who take part in it. Later this month, she added, Cairo will also host the third round of the International Handicraft Show (IHS), “another opportunity for more artisans to get wider exposure, expand their businesses, and recruit more workers,” she argued. Hala Ashour, founder and director of a crochet line called “Handmade”, has found the growing interest in handicrafts, both traditional and non-traditional, a potential “business branding space” that Egypt could make greater use of. “Of course, this depends on high quality and good materials, but I am confident we have a space that we could gain more of,” she said. Improving the skills of artisans is something undertaken at many levels. Al-Sherif in Tunis, Ghazali in the Red Sea governorates and Ghoneim from her office in Cairo are all working on skills-development projects. “It is part of expanding the business and taking it to wider horizons,” Ghoneim said. In an art studio in Maadi outside Cairo, Nelly Rizkallah has been holding workshops for those who wish to improve their skills. “Pottery and crocheting are in high demand because such products are in high demand, but we also do classes for wooden crafts, glass-drawing and others,” she said. Most of those attending Rizkallah’s classes at her Khan Laila studio are artists who wish to go into business. “We have those who just come for fun, but it is essentially about acquiring or improving skills to start a business,” she said. With a view to helping girls to secure an income-generating profession, the Banati Foundation, an NGO that cares for homeless and orphaned girls, has been helping interested girls to develop crafts skills and to take part in some of the many exhibitions sponsored by the ministry. In last year’s HIS, according to Iman Moetaz who headed the Banati stand, the “good sales encouraged the girls to work more. They were very happy to post their work on Facebook and Instagram, and they were getting a lot of attention which was also encouraging,” she said. “It is really about creating avenues and creating hope, as well as about celebrating and preserving cultural identity. It is about the producer families and the small projects, as well as about embroidery and colourful rugs and pots.It is about business and culture. 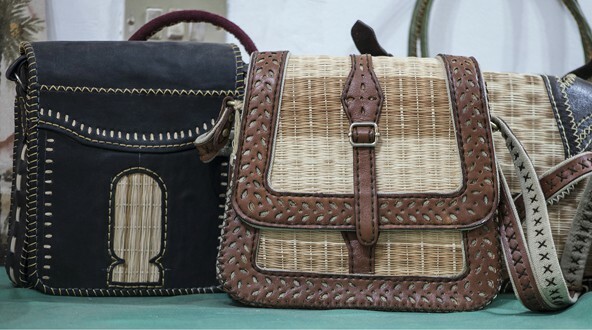 This is what efforts to promote handicrafts, especially the traditional ones, is all about,” Ghoneim concluded.